“Tottenham at home. 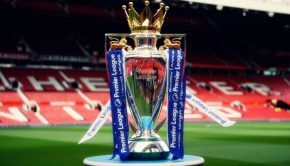 We all know what Tottenham is about, they are nice and tidy but we’ll f*cking do them,’’ said Roy Keane, back in the days when he, Scholes, Beckham and Co. would ensure that Spurs wouldn’t even see the ball on their annual Old Trafford trip, let alone have it long enough to do anything with. This season was different as Spurs saw too much of the ball, if anything, and still didn’t know what do to when they had it. Tottenham helped themselves to over 60% possession, which may come to a surprise to some but in reality this is a regular thing for Pochettino’s side. The North Londoners have out-possessed all but two of their opponents so far this season but often lack ruthlessness in the final third. 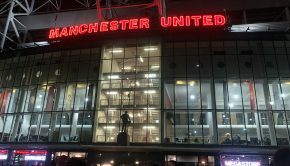 Passing was again the theme and for all the 429 passes they attempted, over double that of United, it was one simple, piercing ball by Ander Herrera that breached the Spurs backline and unleashed Henrikh Mkhitaryan. The way Danny Rose and Kyle Walker maraud forward as wide midfielders is indispensable to the way Spurs build their attacks. But for all the undoubted positives this entails comes one fatal negative, as Spurs found out when Harry Kane gave the ball away in the middle of the park, leaving Rose helpless halfway up the pitch. Mkhitaryan was allowed a clear run through on goal and two touches later the ball was in the back of the net. One measured touch to take it into his stride, and another to lash home high into Hugo Lloris’ goal, and a reminder to Spurs that £26m can actually buy you a half-decent winger. Spending wisely has been a problem at White Hart Lane for a number of years now. With the absurd amount of cash floating around in the Premier League, Spurs have used their budget about as sensibly as the Greek government did. Even with the second best defence in the league and the rare luxury of having a 20-goal-a-year striker in Kane, Tottenham still look short compared to their competitors. And that is down to the inconsistency, as the attacking midfielders who support Kane blow hot and cold far too often. None more than Heung Min Son, whose overall game was epitomised at Old Trafford. He had two shots of note, one fierce left-footed drive from 25 yards that was well tipped over by De Gea, and the other cutting in from a promising wide left position, as well as having other options, blazed high and wide into the Stretford end, a stark contrast. He was then hauled off just shy of the hour mark. If Son was in those box of chocolates Forrest Gump was referring to, he’d be the exclusively wrapped up one, with little to no chance of knowing what your going to get. But to single out the South Korean would be harsh. Christian Eriksen’s bad spells seem to last longer now, whilst Spurs fans have waited three years to see the best of £26m man Erik Lamela, and are still waiting. Record summer signing Moussa Sissoko has failed to make the matchday squad at times this season, let alone warrant a place in the starting XI. 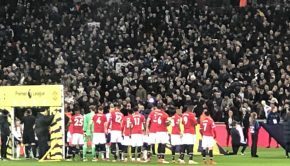 Tottenham’s flair players are too timid and patient, so it was no surprise to see them prancing around the edge of the United box, creating the impression that something promising was about to happen. It didn’t. The one time Dele Alli managed to break through late on, like a man shot of confidence, he cut back, stalled, and the chance was inevitably squandered. 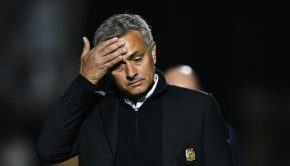 United manager Jose Mourinho was animated and agitated simultaneously, like a harried wedding photographer haplessly ordering for everyone to squeeze in the picture that bit more. 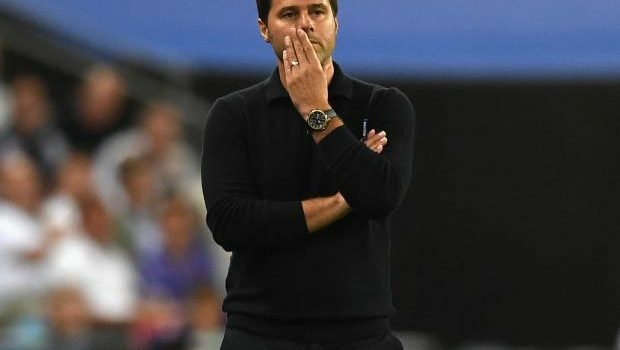 Pochettino appeared calmer on the touchline which could have only been his very best poker face, as he would have been far from impressed at what his team were producing in the final third. The Argentine spent a lot of time motionless scratching his chin, like we all used to do back in school to gain more time attempting to answer a teacher’s question. He had the look of a man who knew he had three defenders and Georges-Kevin N’koudou to choose from to somehow change the game around. Plus Sissoko, who must have fancied it in training this week, as Pochettino brought him on to run at makeshift left-back Matteo Darmian who looked about as convincing as those Walls of Jericho. Wladimir Klitschko was present in the crowd and the Italian looked like he’d just gone 12 rounds with him as he was beaten on a number of occasions, but Spurs lacked the conviction to land a knockout blow. The sun set over Manchester and as the light started to fade, so did Spurs’ chances of getting anything out of the game. Paul Pogba berated Marcos Rojo like a strict father for going to retrieve the ball for De Gea after winning a free kick deep inside his own half late on. Gone were the days where United would go for the kill but they knew they had done enough to blunt Spurs here. In only three of their last 13 games have the North London side scored more than a single goal, so limiting them to scraps was not one of the world’s toughest of tasks. In many ways it was indicative of Spurs season; plenty of huff and puff but not enough to break the door down. Rose claimed afterwards that they are ‘still in third gear compared to last season’. Spurs have to start delivering over the Christmas period as they are already 10 points off the league leaders Chelsea.